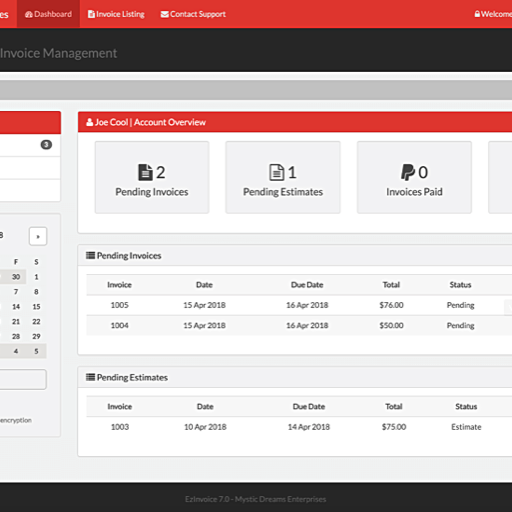 EzInvoice's Administration Interface is designed to help you manage your estimates and invoices from inside or outside your website and help you setup a clean, professional invoice management system in a few easy steps. Please be sure the demo version works on your server. You can then purchase the registered version for only $35.00. 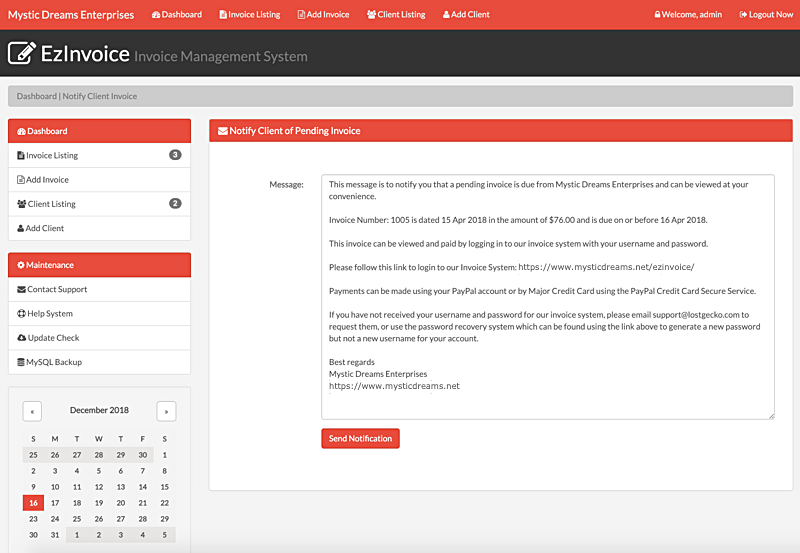 Above you will see the current version and release date for EzInvoice. These are listed to help you keep track of version and release date information. 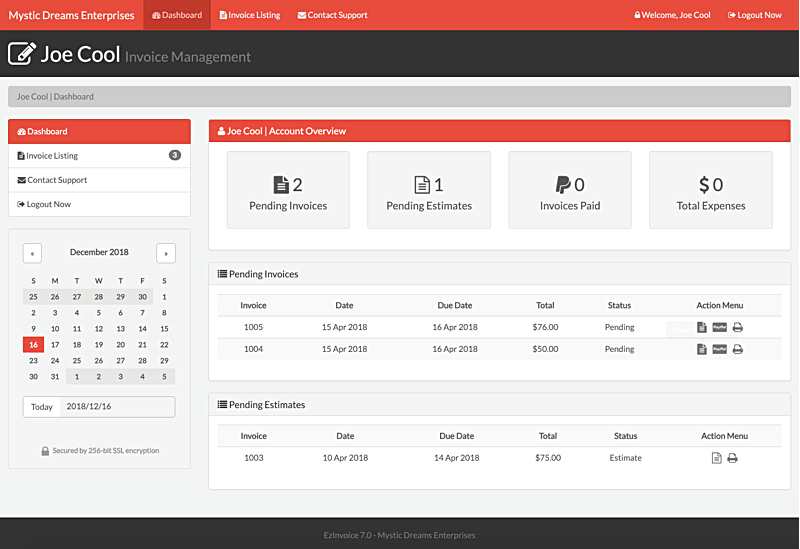 EzInvoice's Administration Interface is designed to help you manage your estimates and invoices from inside or outside your website and help you setup a clean, professional invoice management system in a few easy steps. 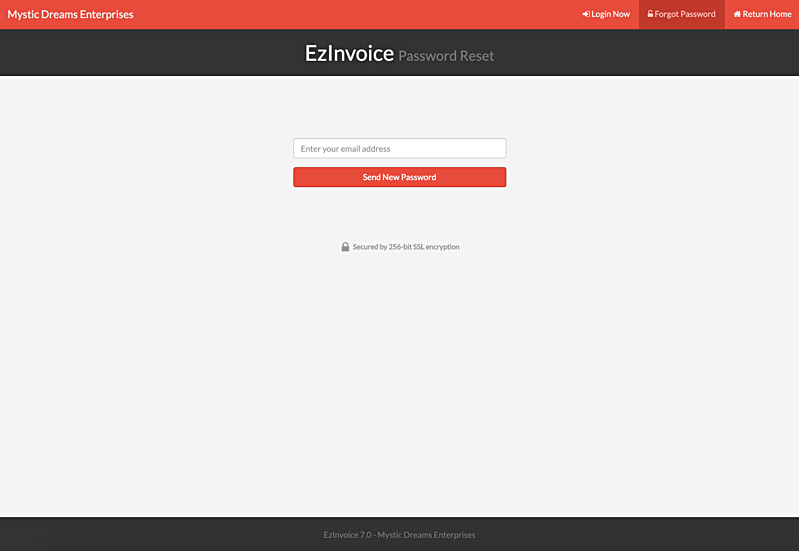 To purchase the registered version of EzBan, please enter your full name, email address and domain name below then add to cart. 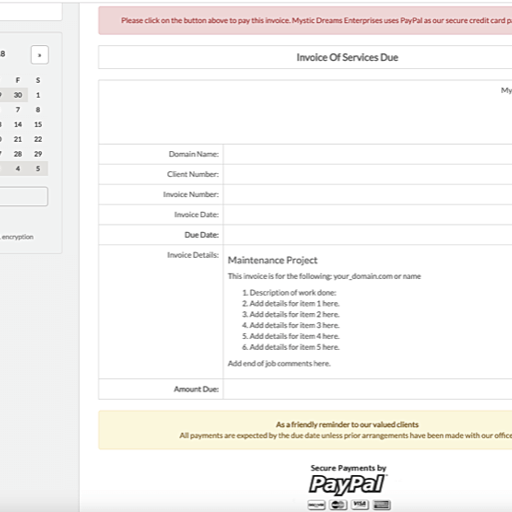 You will need to enter your full name, email address and the domain name you will run EzInvoice on as the registered version is tied to a domain name. Please insure you provide a working, reliable email address to contact you and send your instructions to. You should have your registered download link and instructions normally within 24 hrs or less after purchase. 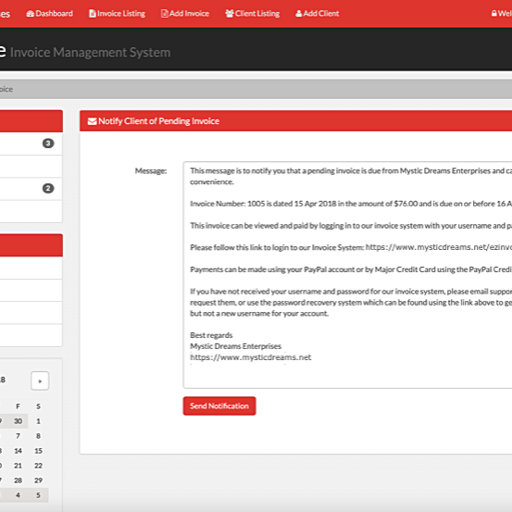 Free providers like Hotmail or Yahoo frequently have problems and mail can not be sent or received making it harder due to spam filters and more time consuming to send your registered version. 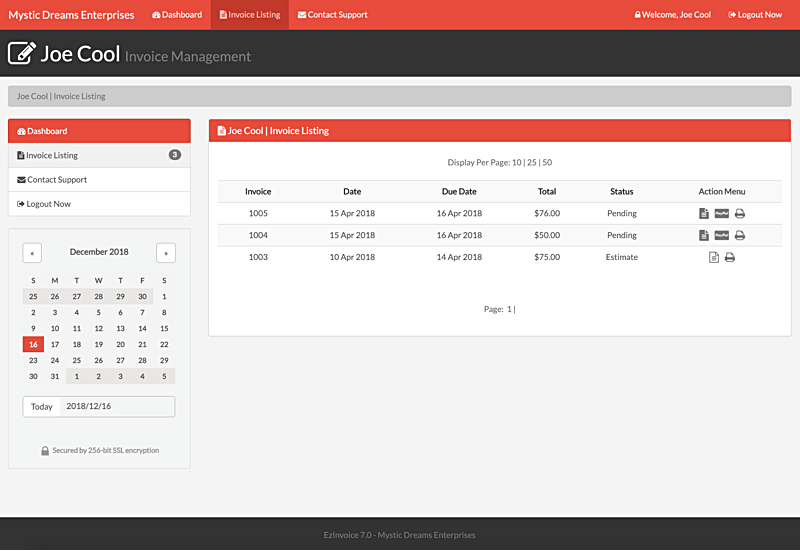 EzInvoice's Administration Interface is designed to help you manage your estimates and invoices from inside or outside your website and help you setup a clean, professional invoice management system in a few easy steps. No complicated instructions, templates for this and that, settings for this area and that area, no one understands and, well you get the point! 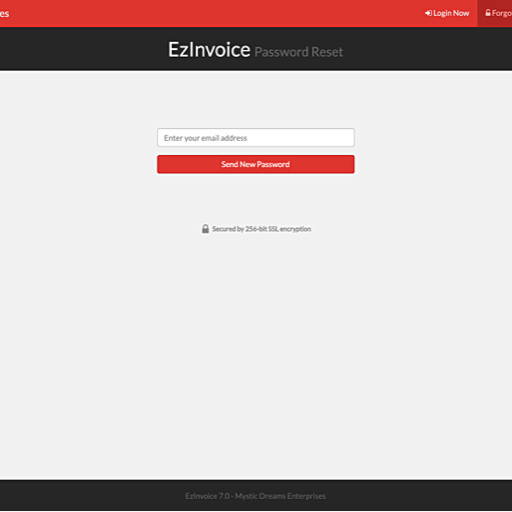 Why use huge, bulky, hard to use accounting systems when EzInvoice is so much easier, faster and less time and energy intensive than those others? 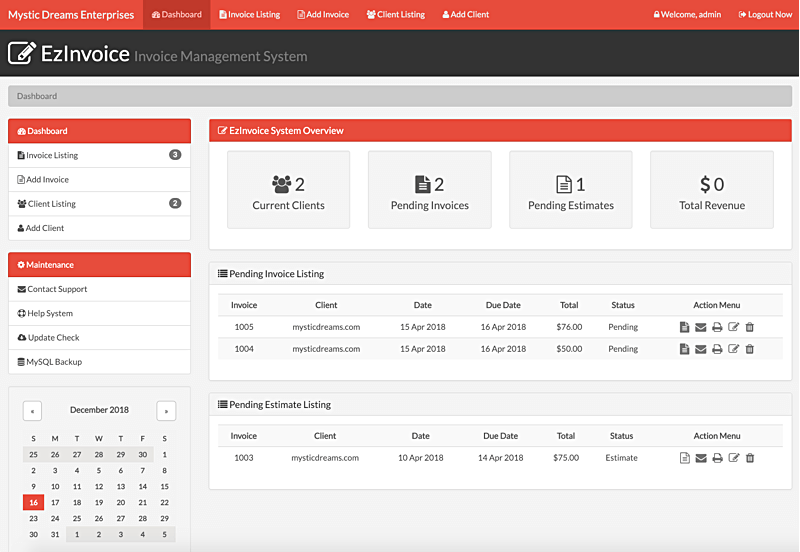 Use the easy interface to setup each client, estimates and invoice to your needs. 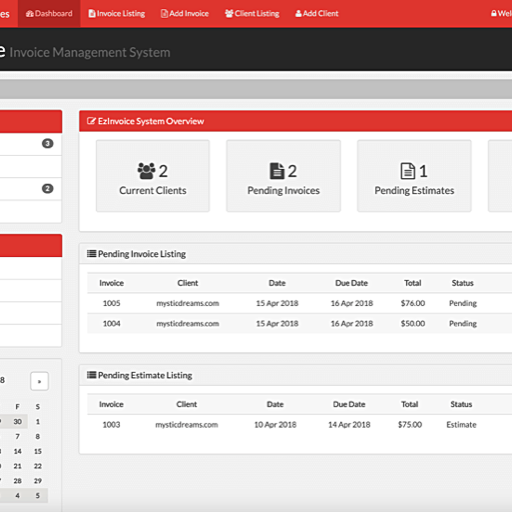 If you don't need all the features of a full blown accounting program, things like inventory, employees, banking and the options are mind blowing for some of them! 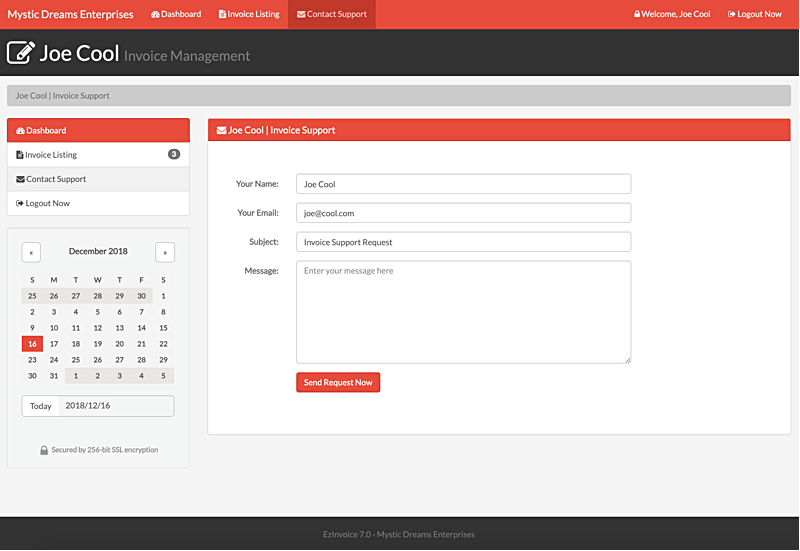 What if, all you really need is a simple, painless way to create clients, estimates and invoices for goods or services? 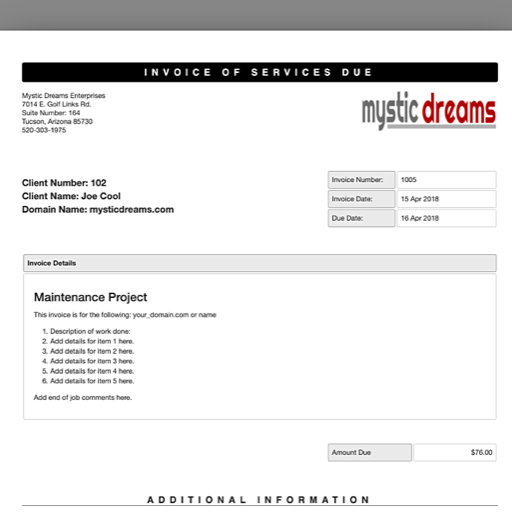 Allow a simple way to let them know about the estimate or invoice and pay it. 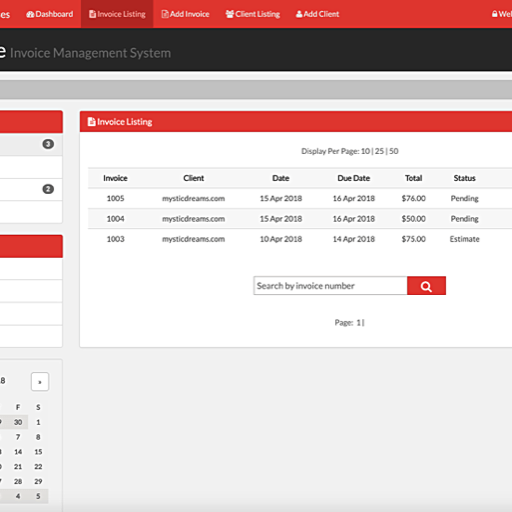 Provide an easy, online interface for both you and your clients and not spend 20 minutes navigating through an endless array of stuff just to send an estimate or invoice by email to a client? 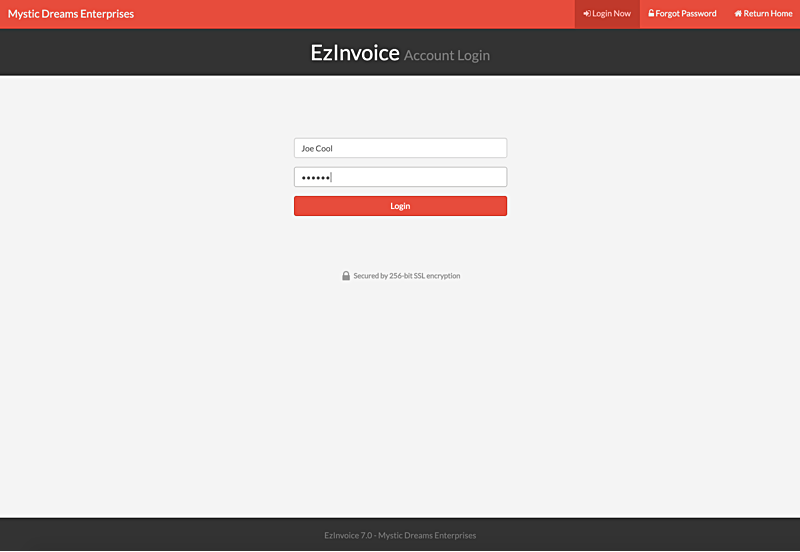 Then EzInvoice is for you! 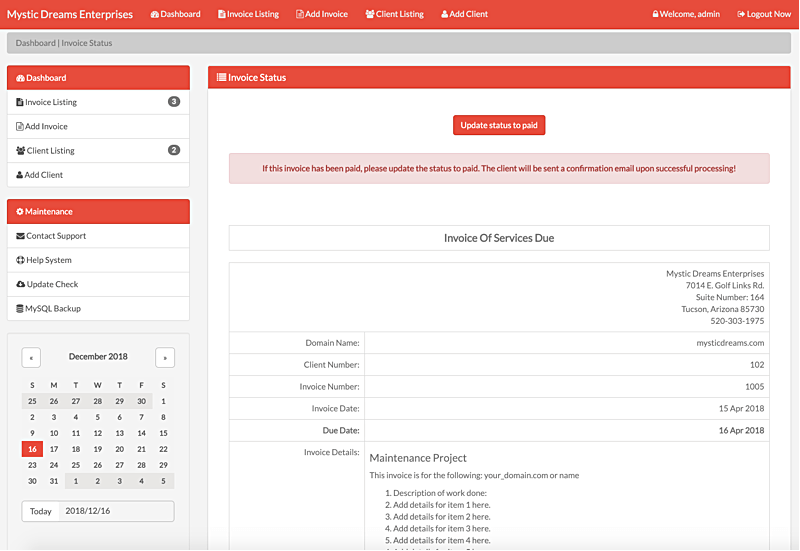 PHP 7+ and MySQL DATABASE REQUIRED! 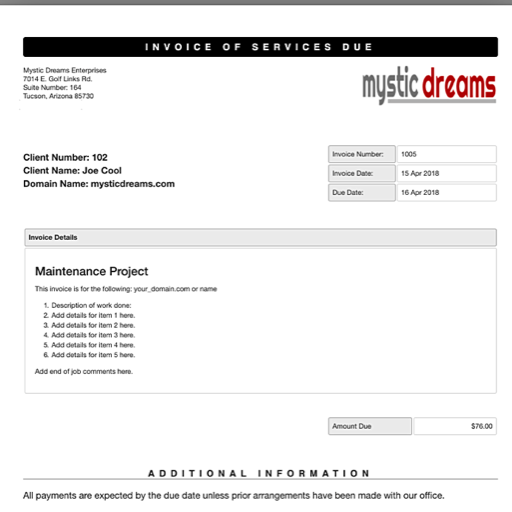 A completely self-contained estimate, invoice management system. 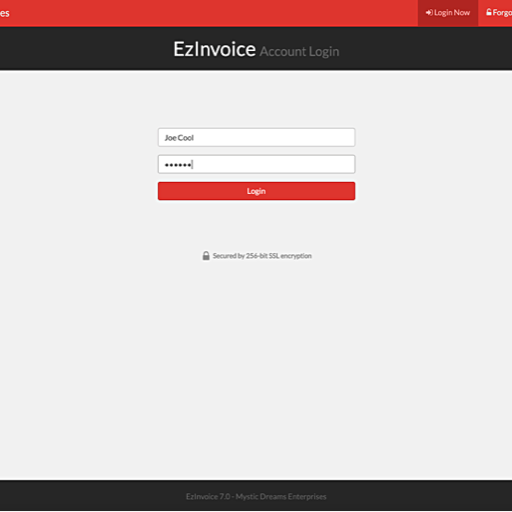 EzInvoice can manage all the estimate, invoice needs of your small to medium size business. 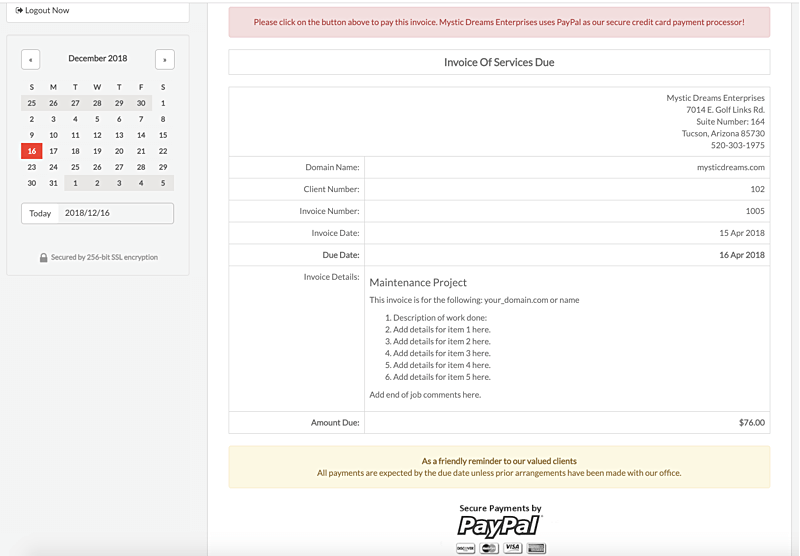 Designed to be used with your PayPal account. 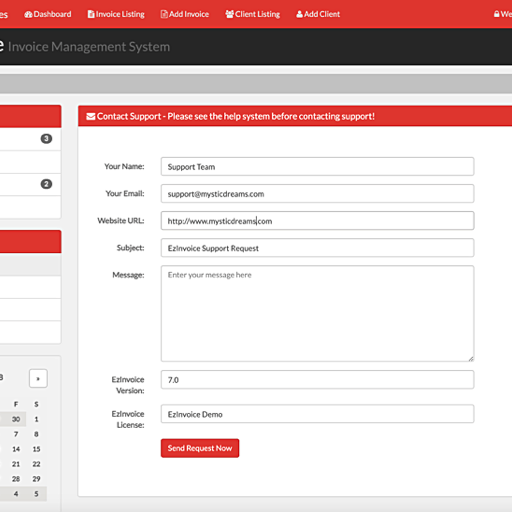 Online access for ease of use for you and your clients. 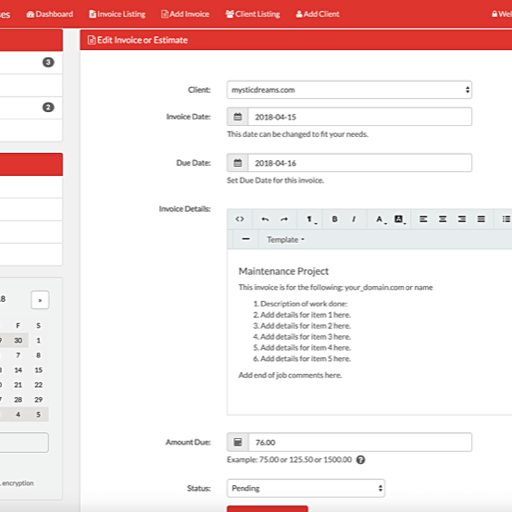 Easy add, edit and delete of clients, estimates and invoices. Built in MySQL Backup Function. 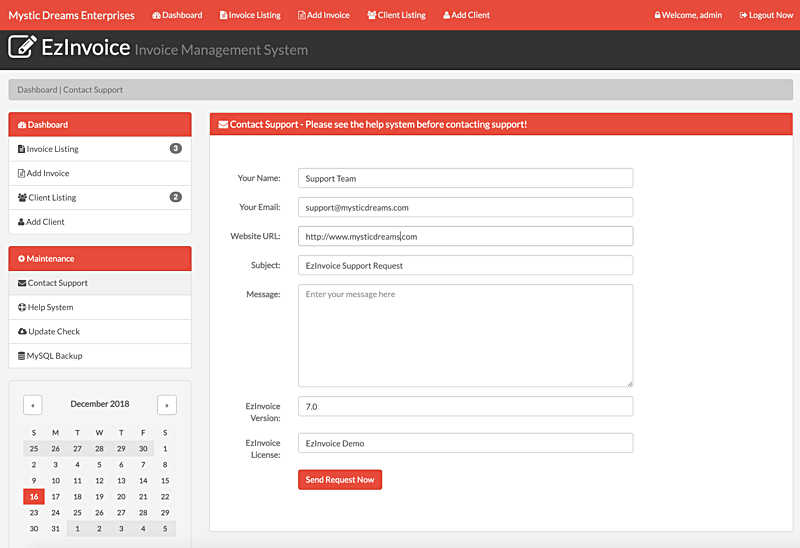 Built in notify and thank you functions for your clients. 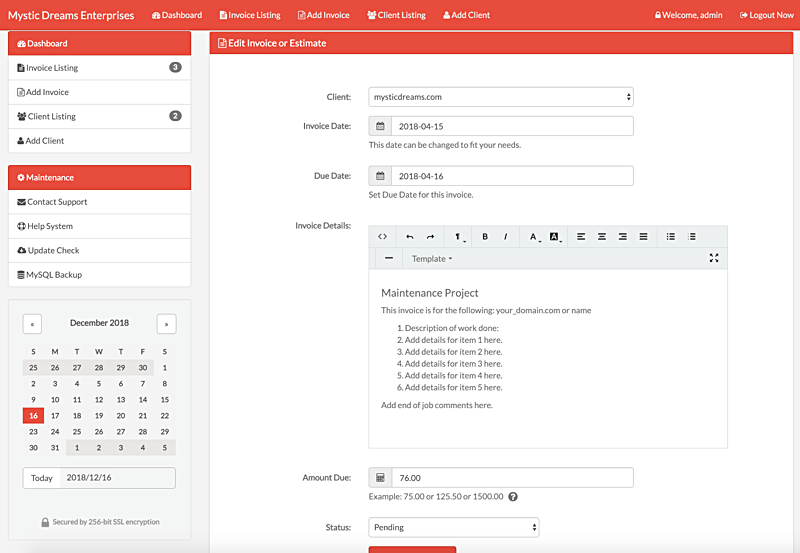 Built in Calendar and Calculator for reference and ease of use. 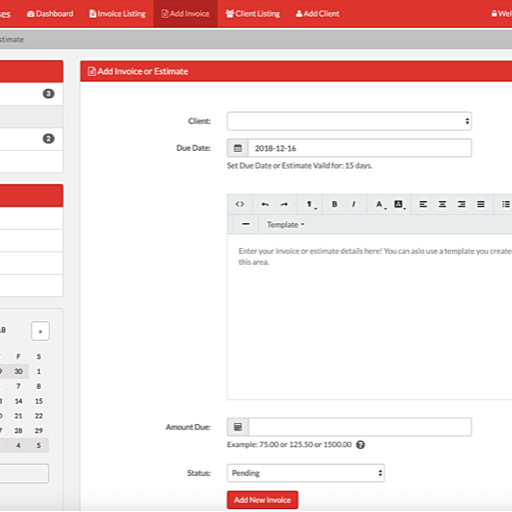 Built in Random Password Creator to help you setup new client accounts. 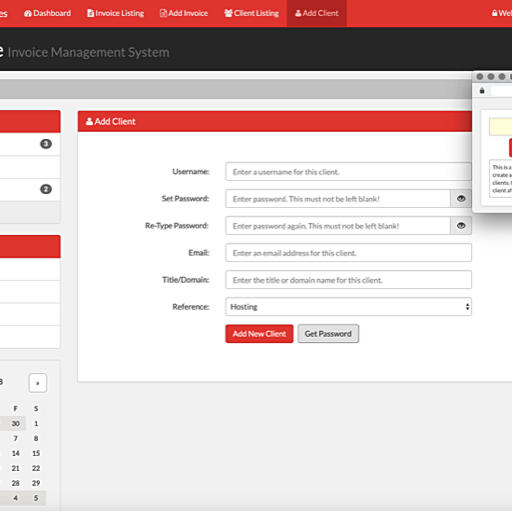 Built in Password Recovery system for client accounts. 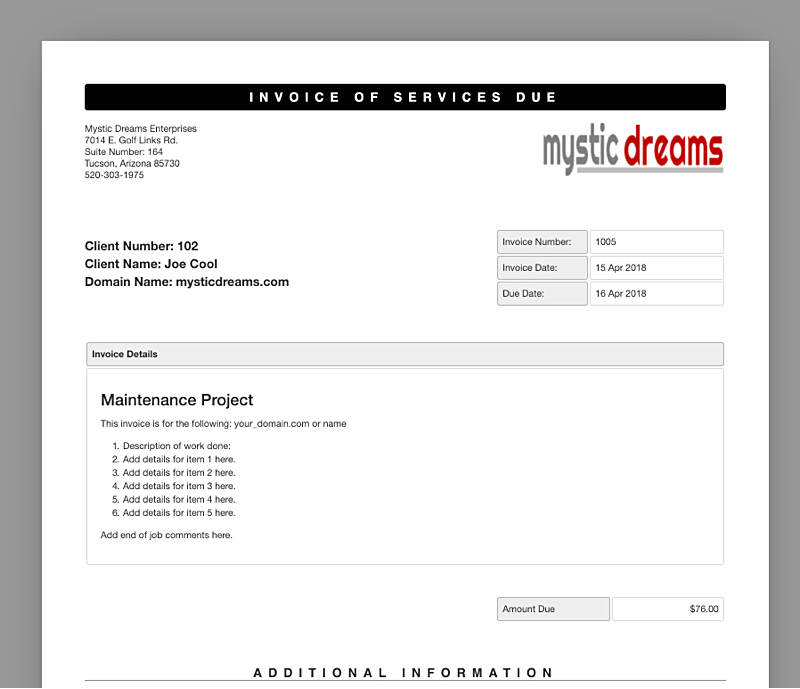 Old and New estimates and invoices stored online for 24/7 access by you or your clients. 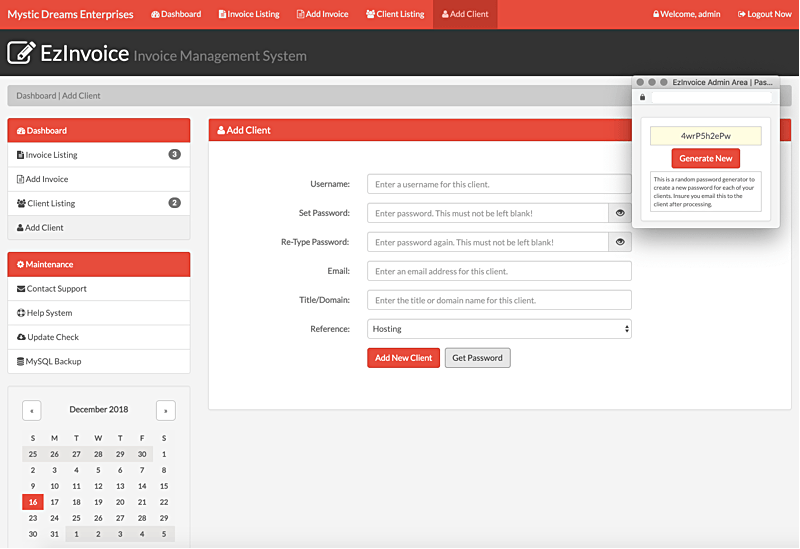 Edit the config.php, then upload all files to your server. 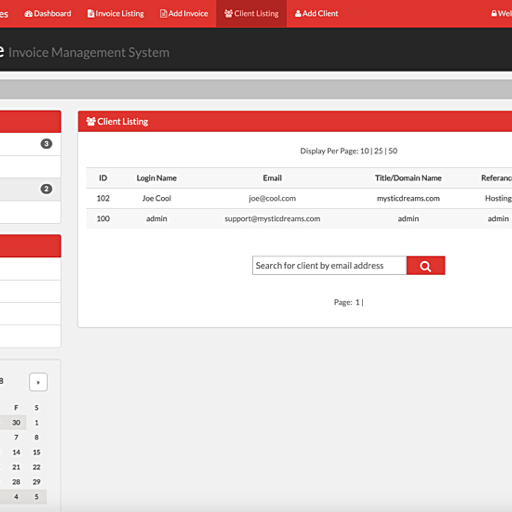 Import the included .sql file into your MySQL Database. Set chmod 777 or chmod 0755 on a few files/folders. 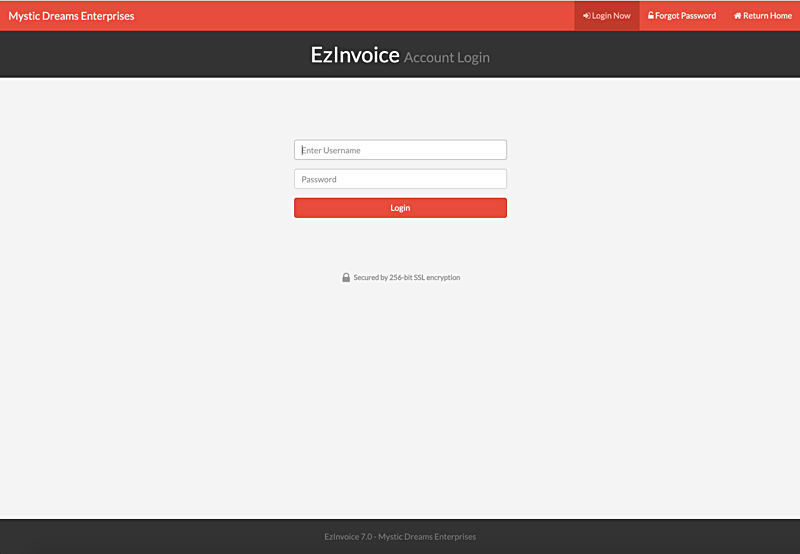 Login to the Admin Area and begin using EzInvoice! 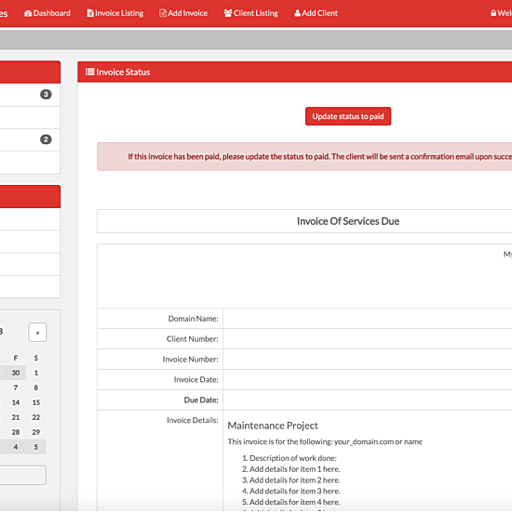 Ability to Add, Edit, Delete Clients, Estimates and Invoices. 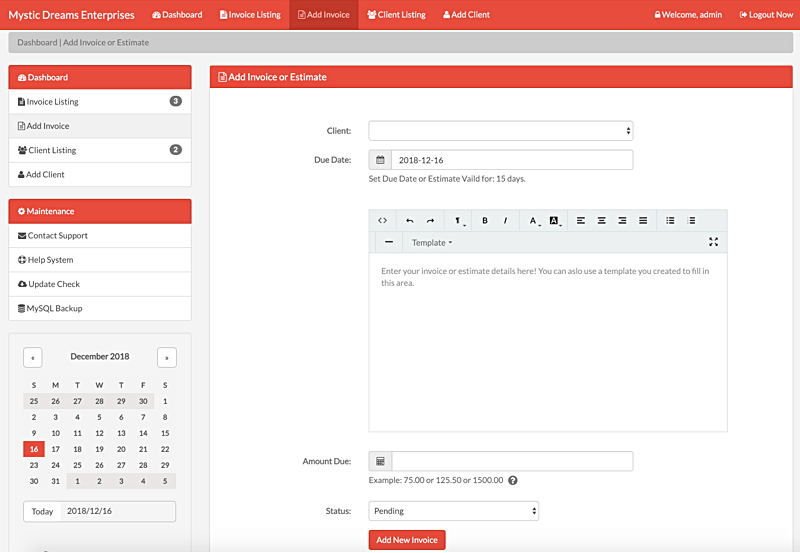 Built Calendar, Calculator, Password Generator and MySQL Backup. 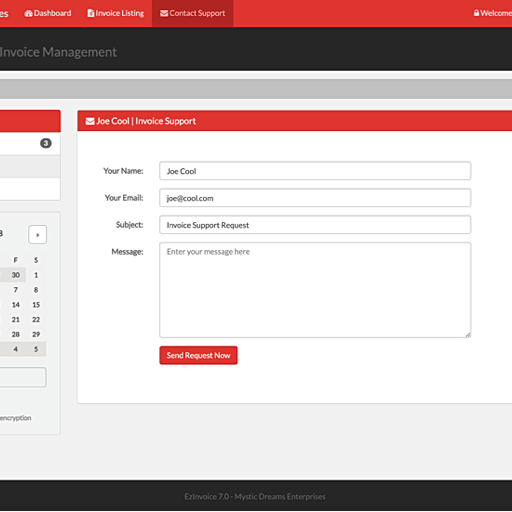 Built in Backup and Restore function for easy use and safe keeping. 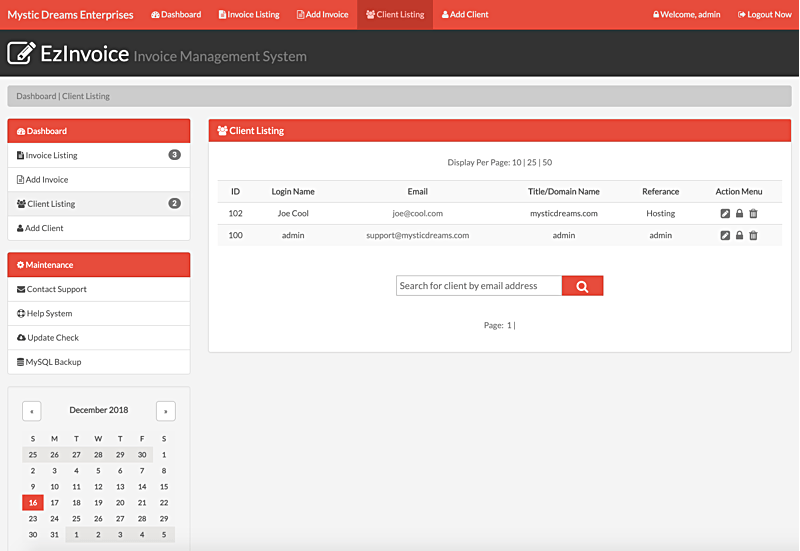 Built in Pagination and Search function for easy use. 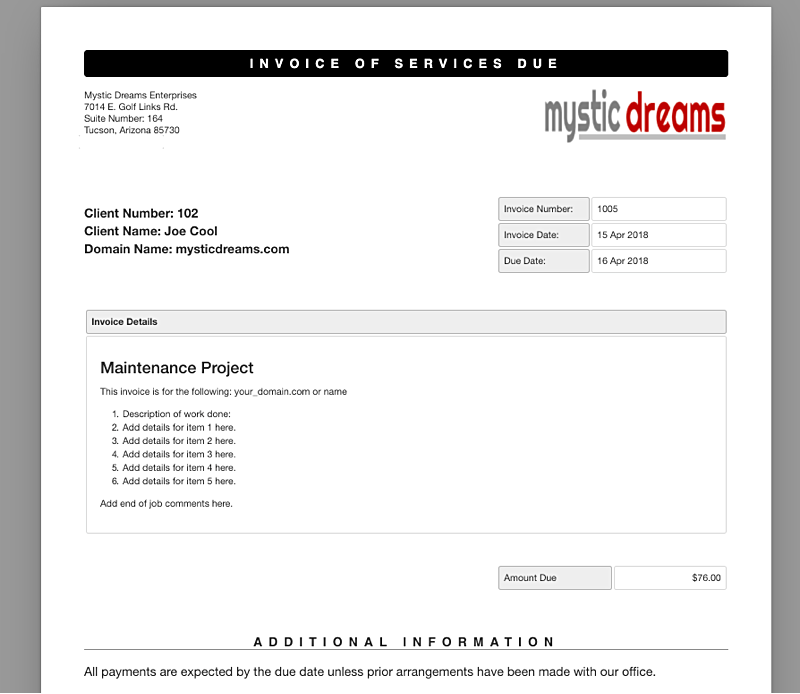 Company logo on client invoices. 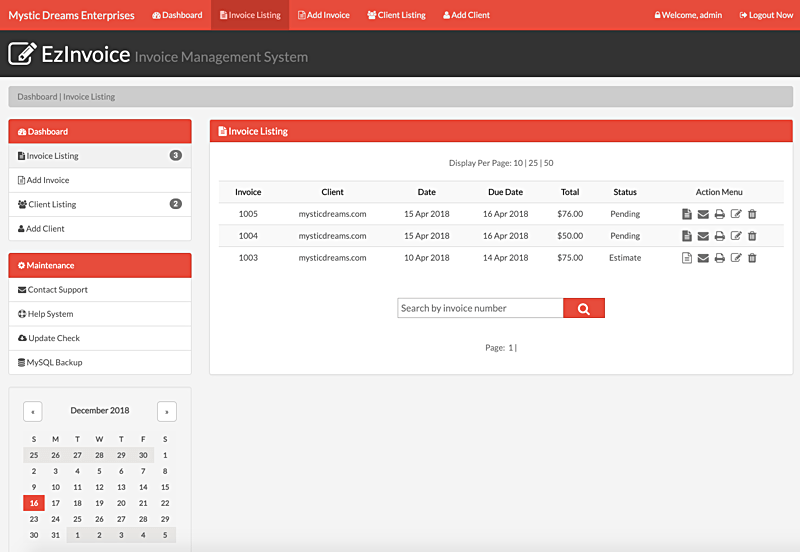 A simple, easy to use invoice management system! 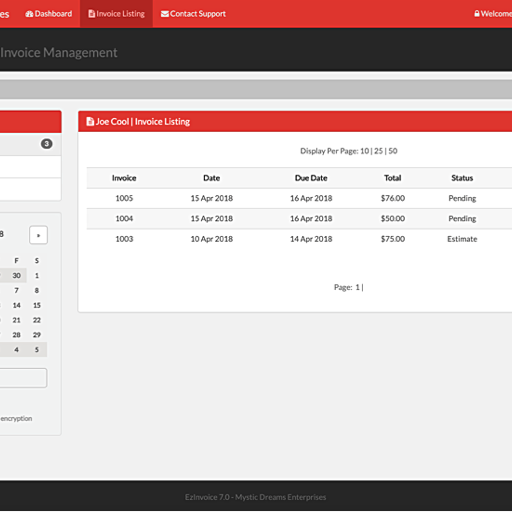 Below is a screenshot demonstration of EzInvoice to give you a visual idea of what EzInvoice looks like and the basics of how it functions. An active demo is not possible due to abuse, please download the fully functional trial version to test EzInvoice on your server.